Local Authority is the brainchild of Brisbane's Jacque McGill. Aided in the studio by Dan Sparks (drums) and Erica Sunnex (backing vocals). 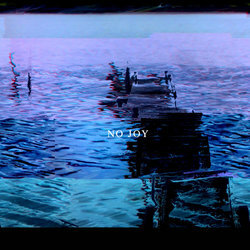 'No Joy' was recorded by Brock Weston at Bedlam Studios. On stage, Local Authority are Jacque McGill (vocals, bass), Rhos Pridham (guitar) and Lachlan Andrews (drums). No Joy is a yearning for more, being stuck between two places without a way out, about letting go. The softly spoken vocals set an intimate tone whilst the cavernous guitar sounds flood the track with emotion. A shoegaze formula with an aura of darkness and despair.